The land of Fujian is highly productive, and the air is heavy with the aroma of flowers and fruit all the year round. Famous flowers and fruit from various parts of China are available everywhere there. 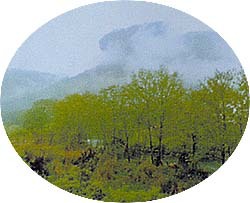 The province is a grower of Wulong Tea. The best quality brands are the Tieguanyi from Anxi and the Dahongpao from Wuyi Mountain, both having a high reputaion at home and abroad. Fujian also produces dried fruit and other special products. The fruit of canary trees from Fuzhou, the fruit of pipal trees from Xiamen, candied fruit from Yongtai, and Fengyou essence from Zhangzhou make good gifts to relatives and friends.